In October we are changing the names of several products for a few reasons, so we thought we’d explore why we’re doing it and offer some tips on naming your own products with the perfect product name. 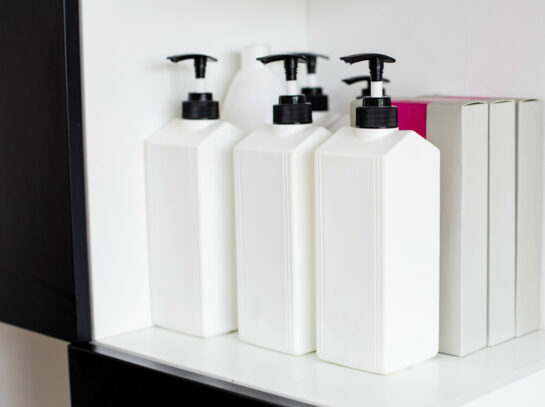 The main issues you’ll run into while naming your skin or haircare products are FDA regulations on claims, and standing out in a busy industry. While there isn’t much you can do about avoiding claims (or anything the FDA considers to be a claim), there are still chances to get creative, balance your level of description and association, and choose words that match your brand and stand out. Our goal, as a wholesale manufacturer, is principally to describe the products and either what is in them or what they do. This philosophy has dictated our current round of name changes (see below), but in the retail environment, you are looking to have your name(s) caught in the consumer’s mind. We’ll run through some key guidelines in choosing your products’ names and then list our products that are changing. How Descriptive Should Your Product Name Be? Deciding how descriptively you name your product depends on your personal preference and your brand. It is often useful to have at least the brand name or the product name be descriptive. For example, if you have a brand called “Body Scrub Boutique” you can get away with a product simply called “Glow” or similar. Conversely, if your brand is less descriptive, something like “Radiate”, it might be beneficial to choose a product name such as “Overnight Brightness Serum” etc. Often the brands of products that are most successful use of associative names—names that may not be a real word but you can figure out some associations that are appropriate for the product. For example, Facebook is not a real word but it makes sense to have a catalog of your friends. Youtube plays that same game successfully. If the name you have chosen is hard to spell or hard to pronounce, people will avoid saying the name or writing it. Erring on the side of ease and readability can go a long way to keeping customers on board. Always keep in mind how your customers are going to find you and your products. The popularity of internet searches in finding brands means that your SEO (search engine optimization) must be clear and up to date. This means a name that is not already taken, is somewhat unique, and a page with the right keywords and metadata. For example, calling a product after a place name, like “Mediterranean,” will bring up a lot of information on the sea, and you will have to compete with every other webpage using that word. Obviously short and punchy names stand a good chance of being remembered, but to encourage people to actually buy your product it can help to choose a name that evokes an emotion, a feeling, or an idea. An easy way to do this if you don’t simply want to call your massage oil “Relax” or similar is to brainstorm. Riff on anything that is related to a descriptor of your product. Write down words that are associated with the main benefits or features. For example, if your product is designed to be relaxing, then other words associated with relaxing might be spa, massage, yoga, Sunday mornings, vacation. So perhaps you choose Sunday mornings as your imagery and name your product Sunday Morning Detox. As with everything related to your brand, you should do what feels right and aim for consistency. But when it comes to how to name your products, you can definitely have fun. Write down all the ideas before eliminating any, and let us know how it goes! Click here for advice on choosing a logo. Upcoming Name Changes – Formulations haven’t changed.